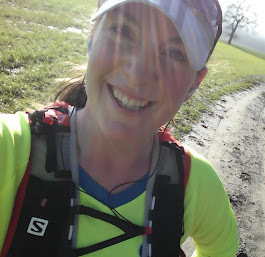 These days I call myself a runner...: Run streak to run happy! I'm on day 16 now...and if I'm honest I never thought I'd get this far, but I have and I'm loving it. Trying this run streak has given me a new found motivation for the days when I don't really fancy going out (which is good as the weather has been awful recently!) and my fitness is improving much more quickly than it would have been had I been training four times a week. In fact, even in such a short space of time, I've found that my mentality has started changing - instead of thinking, "Oh no, I have to go for a run today, I don't know if I can fit in in, maybe I could reschedule it for tomorrow" now I think "Of course I'm going for a run...I run every day...why wouldn't I run?!" I've also found that I've been enjoying the actual runs more too, have much more enthusiasm and (touch wood!!) haven't got injured, and so all round, it's been great. If you've been running for a while, and have a good base, I woudl definitely recommend trying a run streak if you're struggling with your motivation! Because I'm running every day, naturally my weekly mileage is much higher than I would normally run...since day 1 of the streak, I've covered 79 miles which is about from central London to Dover! This has made my 1,000 miles in 2011 a more achievable target, although it's still a big ask - I've got 141 miles left to run by the end of December! At the rate I'm going though, I'm sure I can make it and to be perfectly honest, I'm going to be really proud of myself if I do! It'll just show that if I put my mind to something, I really can achieve anything!